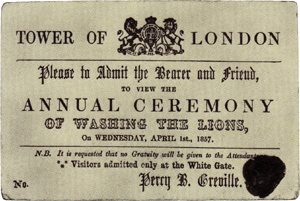 In the 1800s, dedicated jokesters printed official-looking tickets for the fake lion-washing and handed them out all over London. April Fools’ Day is not a new invention: the first recorded instance of pranksterism is over 300 years old. In 1698, Dawks’s News-Letter reported that “several persons were sent to the Tower [of London] Ditch to see the Lions washed.” The Tower of London’s moat was (and is) lion-free, but suggesting that people visit the Tower for the “washing of the lions” remained a popular prank for several hundred years. April Fools’ pranks abound in the media; since newspapers, radio, and television reach large numbers of people simultaneously, they’re perfect vehicles for large-scale jokes. Blogs are no different, and April 1st gives you an opportunity to inject a bit of levity (and maybe publish a highly shareable post that brings you some new readers — everyone loves a laugh). Never tried an April Fools’ joke before? Be inspired by the Brits. True to their history as the originators of the public hoax, they take the lead in publishing pranks, too. 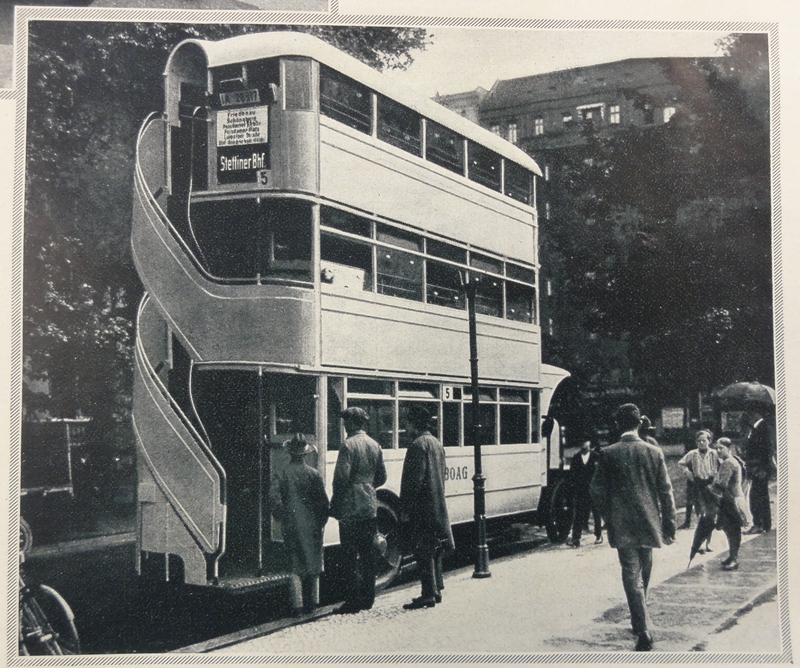 Eve the Germans get in on the April Fools’ action — a Berlin newspaper once published their fictional rendering of proposed new city buses. 1980: The British Army’s Soldier magazine publishes an article explaining that the fur on the hats worn by Buckingham Palace’s Royal Guards actually continues growing and requires trims, complete with a fake photo and scientific-sounding faux-splanation. Editors at the London Daily Express are among those who believe the article, republishing it for their own readers. 1991: The London Times reports that the M25 highway will become one-way: to relieve congestion, traffic will go clockwise on Mondays, Wednesdays, and Fridays and counter-clockwise Tuesdays and Thursdays. The BBC — who you’d think would know better, given their own love of April Fools’ Day — falls for it, airing interviews with angry locals. Blogs are a fun way to pull a few legs on a smaller scale. You can shape an April Fools’ Day post to fit with whatever you blog about. Use it just to go for laughs (think spaghetti farmers) or to poke some gentle fun and the institutions and ideas you blog about (like the M25 prank). April Fools’ Day is a great opportunity to ruffle a few feathers, but you do want to be carefully not to take things too far — the Veterinary Record found itself responding to concerned readers for months after the teddy bear scare; you don’t want to leave your readers similarly worried. Follow a few guidelines to ensure that your prank post ends in a laugh rather than your readers clicking “Unfollow” in a huff. Need more inspiration? Check out the top 100 April Fools’ pranks of all time at the Museum of Hoaxes. Pick a premise that fits with your blog. If your blog is mainly personal musings, try some fake news about your life. If you blog about a particular subject, go with something on that topic. You want readers to assume that they’re just reading another interesting post from their favorite blogger. Make sure the post sounds like you — your voice, your subject matter, your perspective. It’s not a prank if readers immediately become suspicious. Draw them deeper into the joke by writing the way you normally would. Go over-the-top with things like details, names, and explanations. If your post involves fake experts, give them silly names. Make up fake studies. Quote a long-dead person. Choosing a realistic premise makes your post believable; adding outlandish details brings the laughs (and hopefully, the clues that help readers figure out that you’re joking). Tell readers it’s a prank before they close your post. Don’t leave people wondering, or force them to contact you for confirmation. Leave a clear indication that your post is a hoax — end the post by saying “April Fools’!” or including a link for more information that goes to a “Happy April Fools’ Day!” page. The more serious the subject matter, the more important this is; you don’t want to leave your leaders, particularly personal friends and family, worried about what they’ve read. Think about the sensitivities of your audience. Understanding what pushes your audiences’ buttons is key. If you’re a vegan blogger, animal-based foods are likely an issue; if you’re a sports blogger, maybe it’s a particular team or rule. You can use this to your advantage, but can also pound on those buttons too hard. Be aware of your readers’ pressure points, and ask yourself whether you’re pushing too hard; you’re prodding playfully, not engaging in competitive Whack-a-Mole. The goal is to surprise readers, not anger them. Be timely, but not too timely. A tie-in to a current event can make your post feel more realistic, but some things will be too raw to be humorous prank fodder — no disappearing planes or museum bombings in your April Fools’ jokes, please. If you’re not sure, run your idea by a friend. If their first reaction is “Too soon!” then it’s too soon. Don’t use real people who aren’t you. Implicating another person in your hoax is not the best idea, even if you get permission from the person; it’s harder for people to discern a joke if they think multiple people they trust are involved. Keep any people who figure into your post to yourself, public figures, and invented characters. There’s a fine line between a moment of worry that ends with a laugh and genuine concern, and no one wants to feel that they’ve legitimately been made a fool of. Don’t rush your prank post — take the time to flesh out an idea and examine it to be sure you’re not creating an inadvertent panic, and you’ll be on the road to a good guffaw. All of this is very true about April Fool’s Pranks. But, I hope many celebrate the festivities of what April Fool’s Day brings! Hi Michelle, could you tell me when the next blogging101 is due to start. I want to do it again! My internet a playing up so I’m having trouble loading blogs to find out for myself. Many thanks! The next one will start on Monday, June 1 — look for registration to open in May. Thanks Michelle, I thought it might be around now. Are you having a break between them then? I’ll make a note in my diary! Blogging U is taking May off this year, yes, so we’ve got a short break. Thanks Krista, have I missed the boat for April then? Oooo, this will be fun. Thanks for the details on how to formulate this post and make it fun for readers and writers. Hi Michelle, what theme are you using? I really like it. April Fools’ is big in Czech Republic, I just don’t know how well the jokes will translate. I’ll give it a try. Michelle uses the Ryu theme for her blog. As you can see, she’s done a bit of customization. thanks for the heads up. i usually forget to plan for days like this, but it actually gives me a good time to try one of the posts i’ve been saving. we’ll see if i can brush it up in time. I’m so late for this. I’ve thought about doing this before but never done it. Prompted by this piece, I’m going to be posting something tomorrow. Watch this space! Haha!!! I totally forgot that it was April Fools’ Day! Oh no! I would not, I got fooled already. However I saw a lovely video about the the early beginnings of Daily Post 10 minutes ago. detected. A truly Smart horror. This was a April fool‘s story today?